Read with Me! JRJF’s family literacy program began when a group of concerned principals, teachers and parents discussed the upcoming Illinois Standards Achievement Test (ISAT), and how their 3rd-graders would fare on the reading section. The meeting was facilitated through JRJF’s ﻿Vision for Families/Parent Partnerships﻿ program; the school community, together with JRJF, determined that a new literacy program for young families would be a critical first step in addressing the issue. 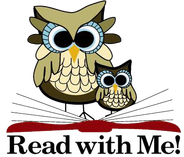 Read with Me!, open to pre-K through 4th grade students and their families, brings children and parents together with a reading coordinator each week. Books are provided at no cost to families, and the facilitator guides parents and children through discussions of the books’ themes and lessons. Read with Me! offers a welcoming, comfortable environment for parents, many of whom never learned to read well themselves. The program helps parents become more confident, effective readers, and teaches them how to create a reading-friendly home environment. Read with Me! encourages positive interaction between parents and children through a shared activity, and helps families build home libraries so that they can continue to enjoy reading together at home.